A couple of recent projects take a different look at plants - particularly by juxtaposing the natural with the cultural - providing a way of thinking about urban nature - or our relationship with our ecosystems, in new ways. 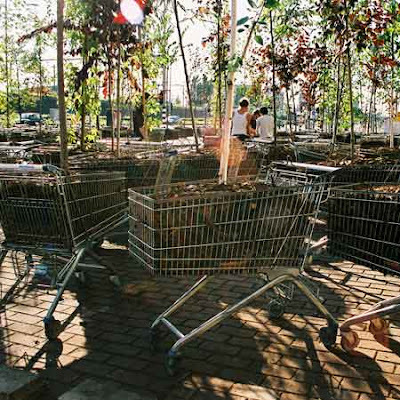 Firstly, via Dezeen: "Dutch architects NL created a forest of 100 trees planted in shopping trolleys at the Urban Play event in Amsterdam, Netherlands, which ended earlier this month. 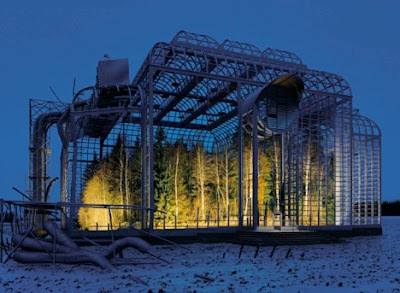 The project, called Moving Forest, was inspired by a children’s story about a forest that moves at night so people trapped in it can never escape." 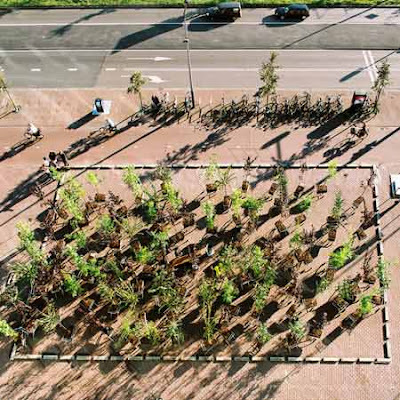 The idea of adaptability and change is imminent in the proposal, NL’s Gen Yamamoto gives some insight: "...he could imagine people adopting a tree .e.g. homeless could start to take one on their journey through the city. 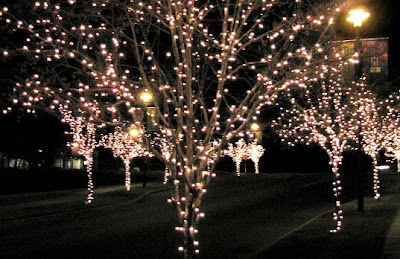 The trees would pop up unexpectedly in small side streets or dark corners or be pushed over a big public square. They would group in smaller groups or be sparkled over the town." I think that it's unfortunate that due to liability reasons, the shopping carts had to be pinned in. I see an interesting evolution based on the distribution of these miniature ecosystems throughout the urban fabric. 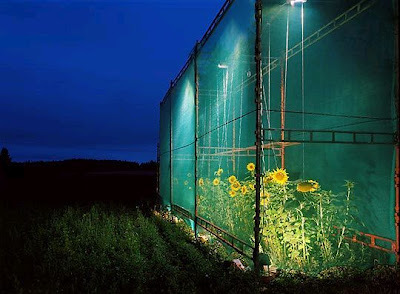 While some would inevitably perish, others would drop seeds, become more permanent, and permanent alter the vegetative cover of our urban fabric - similar to the mobile seed bombs of Bloom, or the temporary occupation of Park(ing) Spaces... Inclusion of GPS tracking would allow for distribution patterns, which tell much about our social lives and movement. See more at Adam's great recent post on the subject over at Design Under Sky. A more stable pattern of vegetation, but compelling nonetheless is found in the work of Ilkka Halso, whose work has been featured prior on L+U here. 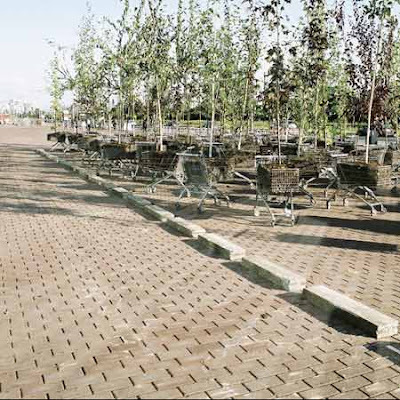 A few more images that celebrate the meshing of industrial forms with plantings, evoking the post-industrial landscapes of Peter Latz, perhaps. 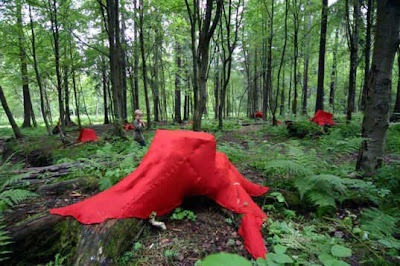 And an interesting Christo-inspired art project spotted on Inhabitat. 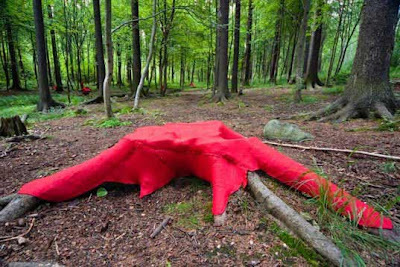 Lea Turto, a Finnish artist: "...covered a series of tree stumps in Helsinki’s central park with red felt in order to highlight and celebrate their natural forms. The piece is called The Sacred Realm of the Forest Elf, in deference to an old Finnish word and spirit: Hiisi." 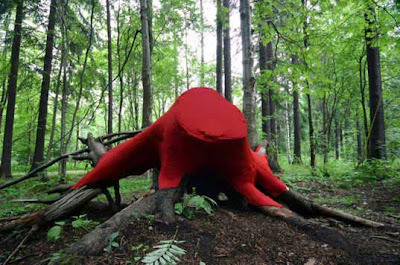 I see it more as a way of perhaps of giving visibility to the severed remnants of the forest. Is it a coincidence that it's blood red and I think of a scar on the landscape that is being revealed perhaps? 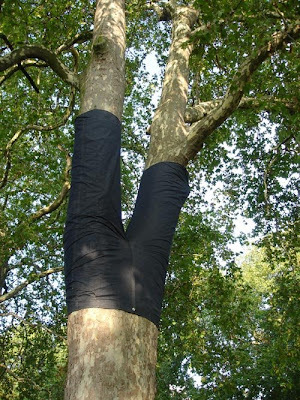 These seem interesting in pointing out some detail of the forest - while not being as trite as the silly varieties of 'Tree Pants' that donned the pages of Landscape Architecture magazine a while back. But art is subjective - and who is to say what is appropriate. So in the spirit of the season, perhaps just a simple living Christmas tree... with the hope that it could be replanted in the city, like this program in San Francisco. 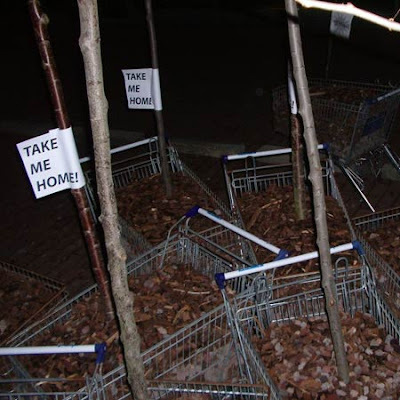 Multi-use vegetation, now that's art. The contrast between the very coarse built environment and the softness and virility of plant material continues to be a great source of inspiration for me. Very interesting post. This is really a good idea.